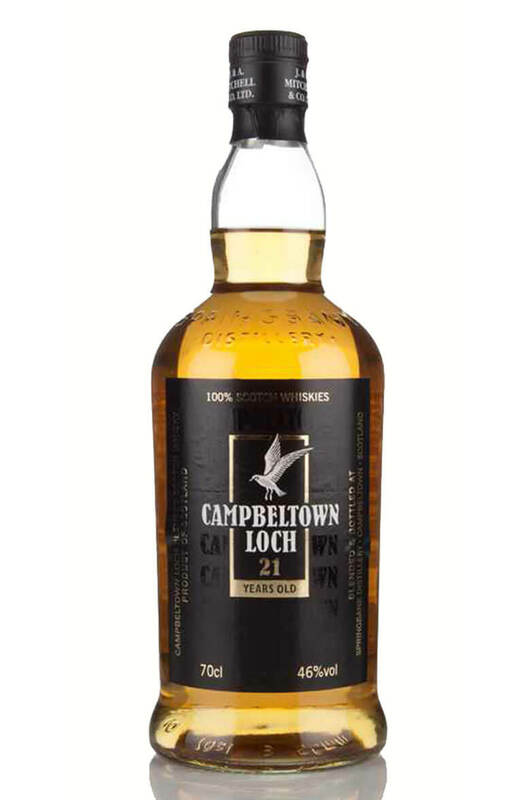 Campbeltown Loch 21 Year Old is not very well known, but is regarded by connoiseurs as one of the very best blended whiskies around. A high malt content of 60% combined with top notch 21 year old grain whisky from Girvan gives this far more complexity than most blends. Malt/Grain Bill 60% malt whisky, 40% grain whisky.